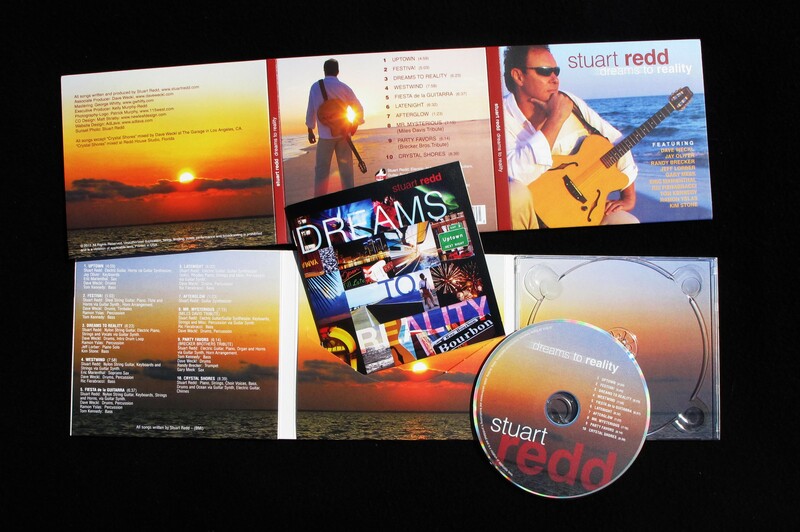 Stuart Redd's Contemporary Jazz & Latin CD: "Dreams To Reality"
"For multi-talented guitarist Stuart Redd, DREAMS TO REALITY is more than an inspirational title. It’s the magical and empowering swirl of excitement he feels digging into and sharing his legendary traditional and electric fusion jazz influences (many he originally discovered listening to Detroit’s jazz station WJZZ) to create this epic, genre-transcendent collection. Driven by his fluid and melodic, yet crackling style, he blissfully exudes his freewheeling passion for Smooth Jazz, fiery fusion, adventurous rock/funk jazz and sizzling Latin jazz." 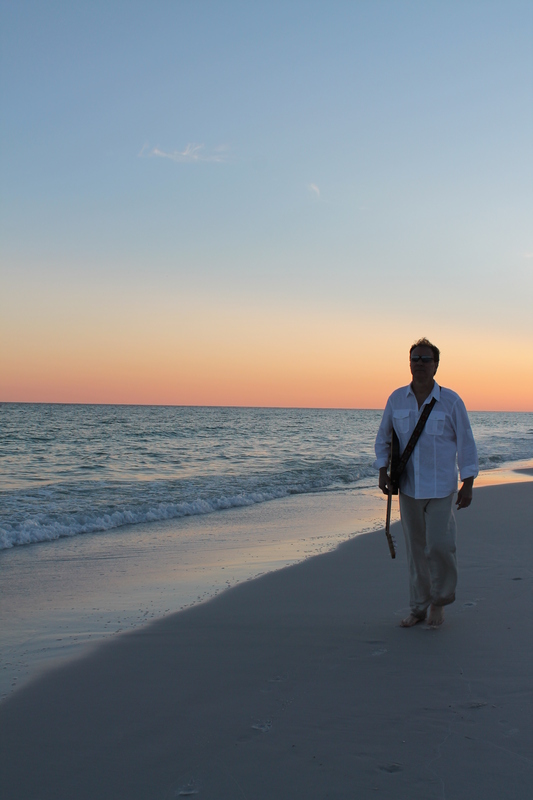 “Dreams To Reality” is the first album released from guitarist & composer Stuart Redd. It's an eclectic mix of Contemporary Jazz, Jazz Fusion & Latin music originals. This album has a very live feel, greatly enhanced by the remarkable rhythm section performances of drummer Dave Weckl, bassists Ric Fierabracci, Tom Kennedy & Kim Stone with added spice & liveliness from percussionist Ramon Yslas. You will also hear outstanding keyboard performances from Jeff Lorber and Jay Oliver and truly phenomenal solo performances from trumpeter Randy Brecker, saxophonists Eric Marienthal and Gary Meek. Enjoy the personal tribute to Miles Davis among others. Born & raised in Mississippi, Stuart spent most of his young adult life on the road touring the Northeast. Tours included Detroit, New York, Pennsylvania, then on to New Orleans. The musical influences over those years helped shape Stuart’s musical direction. Read his story in the Bio section. Some of Stuart's influences include Lee Ritenour, Russ Freeman & The Rippingtons, Jeff Lorber, Michel Camilo, Oscar Peterson, Mike Stern, Scott Henderson, The Pat Metheny Group, Fourplay, Chick Corea & the Elektric Band, Gino Vannelli, Eric Johnson & Shawn Lane. While composing the songs for this CD, having some of his favorite players in mind, Stuart could not have imagined the day would come when he would actually meet these great players & have them play on his CD. This album has a very live feel, greatly enhanced by the remarkable rhythm section performances of drummer Dave Weckl, bassists Ric Fierabracci, Tom Kennedy & Kim Stone with added spice & liveliness from percussionist Ramon Yslas. You will also hear outstanding keyboard performances from Jeff Lorber and Jay Oliver and truly phenomenal solo performances from trumpeter Randy Brecker, saxophonists Eric Marienthal and Gary Meek. Enjoy the personal tribute to Miles Davis among others. Buy "HARD COPIES" of DREAMS TO REALITY NOW!